Steren RCA to RG6 cable compression plugs can be used for standard connections on most audio video components, and game controllers. Make up high quality connections using these connectors and RG6 cable. 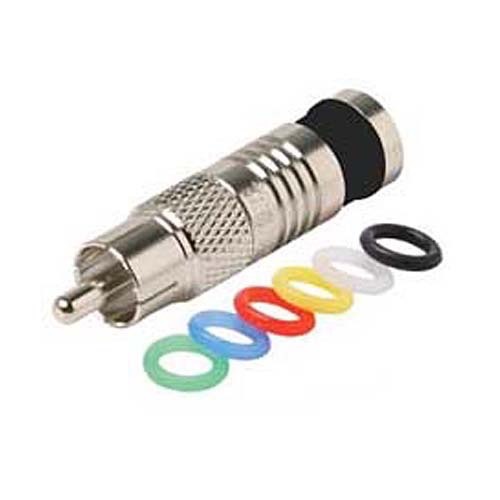 1 Pack RCA to RG6 permaseal connector with 6 multi-color rings.